Home / Blog / Books about breastfeeding for kids! Books about breastfeeding for kids! For many years there were few children's books which portrayed breastfeeding. But in recent years some wonderful breastfeeding-themed children's books have been published, and we're very happy to share some of them here! The Mystery of the Breast, by Victoria de Aboitiz, is a new addition to the kids' breastfeeding books list. Told from the point of view of an older sister, the "mystery," is why her baby brother spends so much time on his mother's breast. The sister asks a question on each page: "How does the milk come out from the breast? Does breastmilk taste sweet or sour? Why does everyone seem more tired but happier than they used to be?" In the end the child solves the mystery of the breast, concluding "They mystery of the breast can turn a noisy storm of tears into laughter, calm, and soft singing." This is a beautiful book, from its sweet and colorful illustrations to its evocative text. A new classic! Mama's Milk, by Michael Elsohn Ross, is a book that makes a simple point: We are mammals, and mammals nurse their young. This shouldn't be shocking or controversial, but unfortunately it sometimes is in our culture. Mama's Milk is a beautifully illustrated rhyming book which shows humans and other mammals nursing their babies. At the end of the book it provides some neat facts about the nursing patterns of different animals. The final page includes a link to promom.org's list of 101 reasons to breastfeed. The idea that nursing is normal is presented in a very matter-of-fact way. The images are sweet, the message is clear, it's multicultural, and the facts at the end about how animals nurse are fun. Did you know that kangaroo's milk is pink, elephants nurse for up to five years, or that bats nurse upside down? 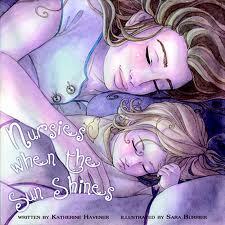 Nursies When the Sun Shines, by Katherine Havener, is a children's book for explaining night weaning. It features a family (mother, father, baby) who are co-sleeping. In it, the mother gently explains to her toddler that she will nurse when the sun comes up, but that when it's dark outside "nursies sleep." This is the first book which helps parents explain what can be a difficult concept to understand and even harder to put into practice, especially when co-sleeping. The text is simple and tender, and the illustrations in this book are gorgeous. You, Me and the Breast by Monica Calaf, is another new addition to books on this theme. In it a mother explains her breastfeeding relationship to her (now weaned) son. It begins with the moments after birth and stretches from infancy, to toddlerhood, to weaning, explaining what life was like for this nursing couple. The down-to-earth narrative ("Often I was breastfeeding you while doing something else at the same time: stirring the saucepan, talking on the phone…") combine with dreamlike illustrations featuring the mother's flowing hair to evoke the pragmatic as well as ethereal nature of the breastfeeding experience. There is a twist at the end which we won't reveal. Get it and see for yourself! 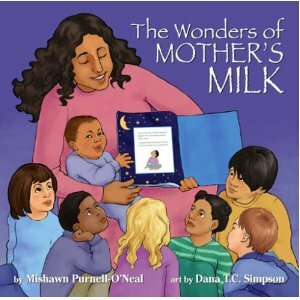 The Wonders of Mother's Milk, by Mishawn Purnell, is a rhyming children's book which explains, in easy to understand terms, how breastfeeding and breastmilk work to protect babies. It features beautiful, vibrant illustrations, picturing mothers of many cultures feeding their babies in different ways and in different settings. The author discusses nursing in public, breastfeeding and working, and even how protecting our environment protects breastfeeding. It mentions the importance of breastfeeding past infancy, and ends with a suggestion to "offer a smile" to nursing mothers everywhere. This book is now available as an e-book for Kindle on Amazonand on iTunes for the iPad! Mommy Feeds Baby, by Christina Jo Hendricks, is a series of photos of mothers nursing their babies which lists the many reasons why mothers breastfeed. 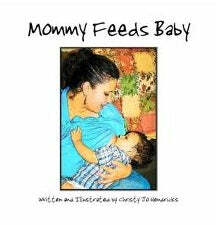 The text on each page reads, "Because ____, Mommy feeds baby." The images include mothers of different ethnicities, nursing children of different ages, in different locations and with different family members present. All of the photos were taken by the author. It's also available in Spanish. The best part of the book is the final page, which allows the owner to insert their own picture and write a statement about why they nurse. This is a sweet, affirming, and beautiful book, probably suitable for toddlers and up. 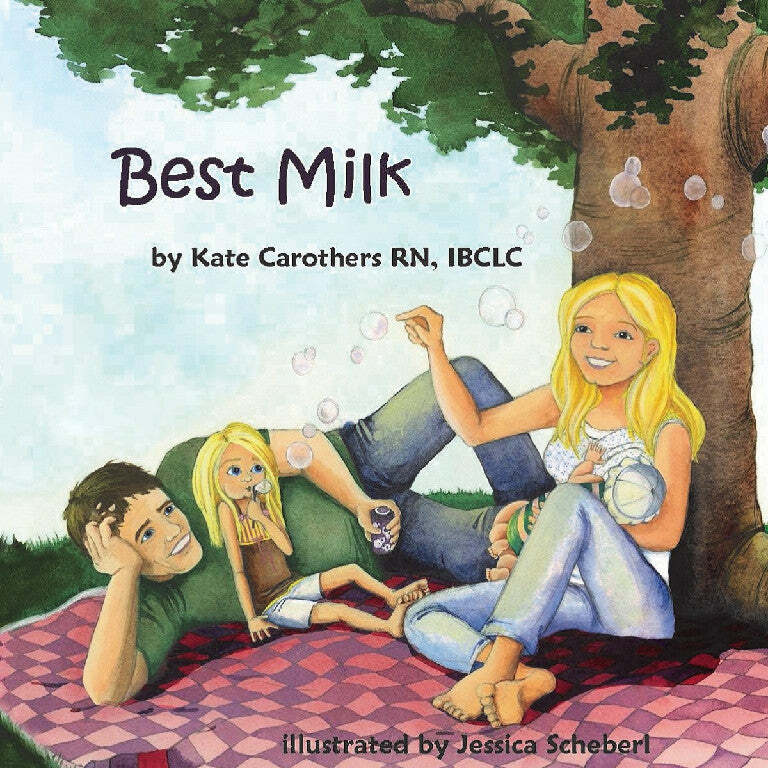 Best Milk, by Kate Carothers, is a beautifully illustrated children's book which presents breastfeeding to children as a normal and positive part of parenting. It's told from the perspective of an older sibling, a girl about three or four years old. At the beginning of the book the sister sees the mother nursing her newborn in the hospital and calls breastmilk 'best milk,' giving the book its theme and title. Best Milk presents many images of nursing in public, other mammals nursing, and babywearing. It also shows pumping ("Which side will win?" asks the daughter), a supportive husband, and ways that a sibling can still get attention from the mother while she breastfeeds. The book concludes with a list of websites for breastfeeding support. Written by a nurse and lactation consultant, Best Milk makes a wonderful introduction to breastfeeding for the older sibling. 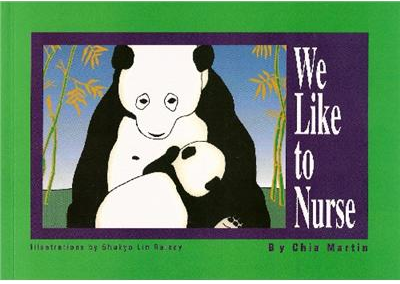 We Like to Nurse, and We Like to Nurse, Too, by Chia Martin and Mary Young, are classic books about nursing which are suitable for the youngest readers. Clear, colorful illustrations and simple text explain how all mammals nurse, from giraffes to pandas to narwhals! The first shows land mammals, the second shows marine mammals, and both books show human mothers nursing. These are books which hold up very well with time, and are the kind of book that toddlers demand to have read over and over! Available in English and Spanish. This Milk Tastes Good! A Breastfeeding Nursery Rhyme When mom Chenniah Patrick was on maternity leave and nursing her baby, she wanted to communicate some things to her baby: breastfeeding is eating, breastmilk is food that tastes good and is good for you, "daddy's bottle milk" is mama's milk, too. So she wrote, and her husband V. Kuroji Patrick illustrated, this book. The text is a nursery rhyme about breastfeeding told from the perspective of a baby. The baby talks about what he thinks breastmilk tastes like, highlighting healthy foods. It's a bit of a play on the fact that the flavor of breastmilk changes depending up on what's in the mother's diet. The family is shown nursing at home and and in public (image of nursing at the park is of baby nursing under a cover or blanket - see image right). The father is shown involved with the baby and supporting the nursing mom. But what makes this book really special is that it's the first I know of to feature an African American family. It's about time. I found this book to be sweet, funny, and illustrated in a way that will appeal to kids. Mommy Breastfeeds my Baby Brother, by Mark Repkin, teaches young children about breastfeeding by telling the story of Jenna, a little girl whose family welcomes a new baby. Jenna asks questions about breastfeeding, and learns to adapt to the mother's divided attention, especially at feeding times. The mother in the story wants Jenna to play quietly during feedings. To make nursing times more positive for Jenna is a box of old and new toys, which they call "feeding time toys." This makes the baby's frequent feedings less difficult for Jenna. This book addresses a topic not covered in any detail in other children's books, and it does so in a positive and empathetic way. A range of feelings is expressed, from curiosity to frustration and jealousy. The illustrations are bright and pleasant. Breastmilk Makes My Tummy Yummy, by Cecilia Moen, is another title with simple, sweet images of mothers and babies nursing, told from the voice of a child. Its bold illustrations show mothers nursing in different positions, including in the bathtub and even an "around the back" move I've never seen accomplished! Mothers of different cultures are shown, and one image is of a mother tandem nursing a toddler and an infant. This is a sweet little book portraying the appeal of nursing to children. I'm Made of Mama's Milk, by Mary Olsen, is one of the earliest books on breastfeeding for kids. 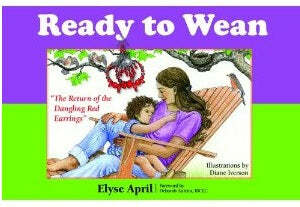 Its board book format, simple pictures, and limited text are intended for the very young reader. The text has held up better than the pictures, which are a little blurry and dated in places, but little ones wouldn't notice the difference. 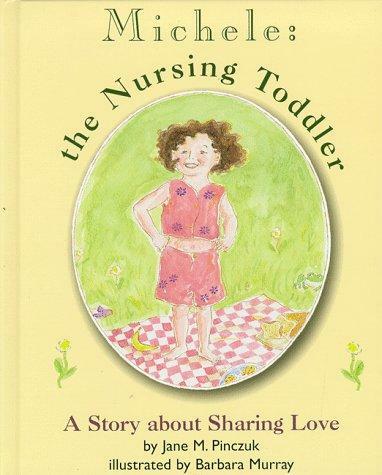 Michelle the Nursing Toddler, by Jane Pinczuk, portrays a toddler and her daily life in rhyme. Little of the text concerns breastfeeding, but it is discussed a few times in a positive light. Since much about "extended" nursing is closeted, it's refreshing to read a book which treats it as a normal part of toddlerhood. Another book which is a bit dated in cosmetic ways, but kids would never know the difference. There are two books which take on the subject of weaning. A new book, Ready to Wean, presents a means for mothers and nursing children to talk about weaning: what it means, when it may happen, what's next in a child's life. Without making any statement about how long nursing should continue, the book helps moms start planning and preparing for this transition. 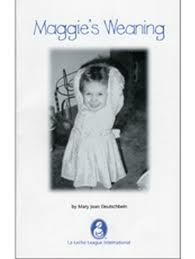 Maggie's Weaning, by Mary Joan Deutschbein, appears to remain the only book specifically on weaning older children available. In it, black and white photographs of Maggie show her nursing from infancy into toddlerhood, the arrival of her sibling, and her "weaning party." She expresses her sadness at leaving breastfeeding behind but excitement about becoming a big girl. This book, too, is dated, but remains a great tool for explaining weaning to a young child. 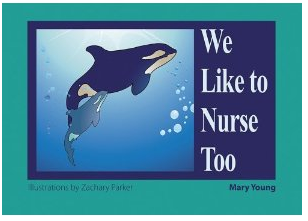 For the older child, two books take on nursing from a cross-species perspective. 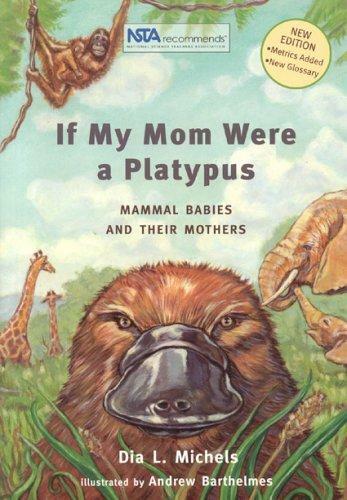 If My Mom Were a Platypus, by Dia Michels, and Mammals and Their Milk, by Lucia Anderson, both address the nursing behavior of different mammals, including humans. 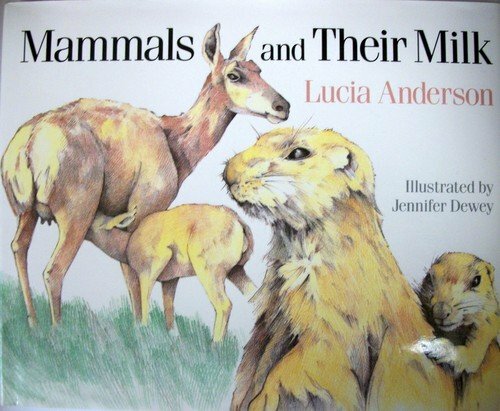 Mammals and their Milk is a detailed look at the biology of lactation in different mammals, and If My Mom Were a Platypus approaches it from a more mother-child point of view. Both are a great explanation of the characteristic that gives us our name, made accessible for the curious older child.